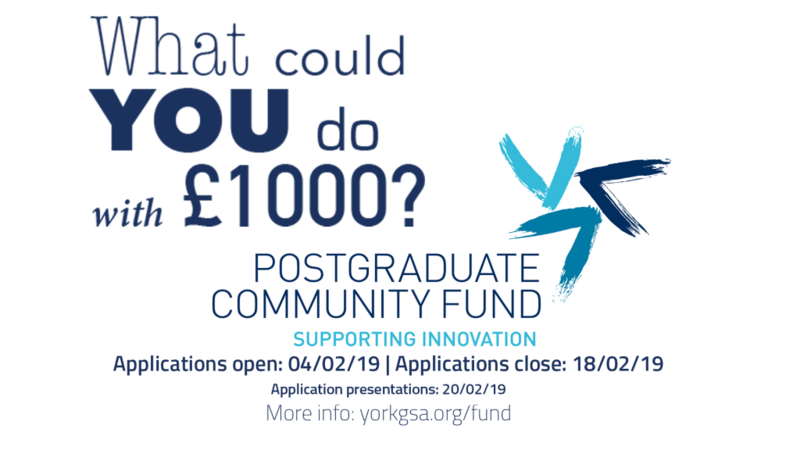 To stimulate a vibrant and engaging postgraduate community at The University of York, the Graduate Students’ Association (GSA) have set up a fund to which any student or staff member can apply. The main objective of the fund is simply to make postgraduate community better and to support new and innovative ideas and projects. 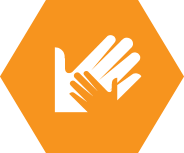 The Postgraduate Community Fund (PGCF) is a bid-based fund. in the academic year 2018/19 it will be run during last few weeks of term 1 (Autumn Term) and the first few weeks of term 2 (Spring Term) and term 3 (Summer term) in the academic year. Want to know more? Have a click through the FAQs below! Postgraduate students and staff at The University of York. If staff are applying then their bid should have been drawn up in consultation with postgraduate students. Each year there is £6000 allocated for the Community fund, and we support small and larger projects. There is no lower limit on the amount that can be bid for, but the bid for a bigger project should not exceed £1k. A BID SHOULD FULFIL AT LEAST 2 OF THE ABOVE CRITERIA. If you are not sure whether your bid falls within the scope of the Community Fund, come and talk to us about it first. When must funding be used by? Term 2 funding must be used by May 30th. Term 3 funding must be used by July 31st. You will be informed by a GSA newsletter when the applications are open and you will receive a link to the application form. Make sure that you fill in every section in detail. At the minimum you need to provide evidence of the impact your project is expected to have on the postgraduate community, and a full breakdown of the expected costs. The more relevant information you present the better chance you have of securing your bid. Successfully pitched bids will be invited to present in person to a panel of judges. You will be given 10 minutes to present your idea/project and then 5 minutes for questions. The judges will then discuss the bids and will inform winning bids via email the day after the bidding process. Some bids may need to be tweeked in order to qualify for funding and this will be discussed in follow up meetings. What conditions are attached to my bid? Projects supported by the GSA Community Fund must be branded with the GSA and Community Fund logo and reference must be made to GSA support in all written publicity. A report must be filed after the project has completed detailing it’s impact on the postgraduate community and photos should be provided as evidence. My bid was successful, what happens next? We will meet you to arrange how the project is implemented. Please do not make any bookings or arrangements before your bid has been officially confirmed. We can also help with publicity, including printed material.